Leading Training offers a large range of exciting short courses. Training in Information Technology, Web Design and Development (programming), Linux , MS Office/ Open Office, Management and Business Skills. Part-time and full time study available for selected courses. Leading Training has been granted full MICT SETA accreditation, number ACC/2014/07/112. Click here to download our letter of accreditation. Click here to download our letter of accreditation. Central Supplier Database number: MAAA0112695. 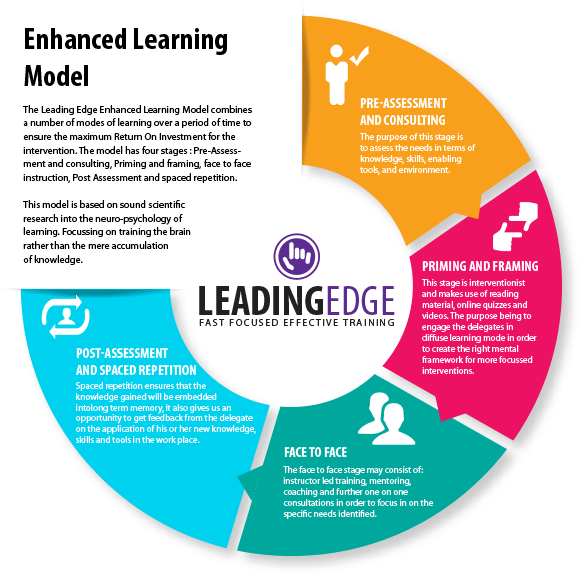 The Leading Edge Enhanced Learning Model combines a number of modes of learning over a period of time to ensure the maximum Return On Investment for the intervention. 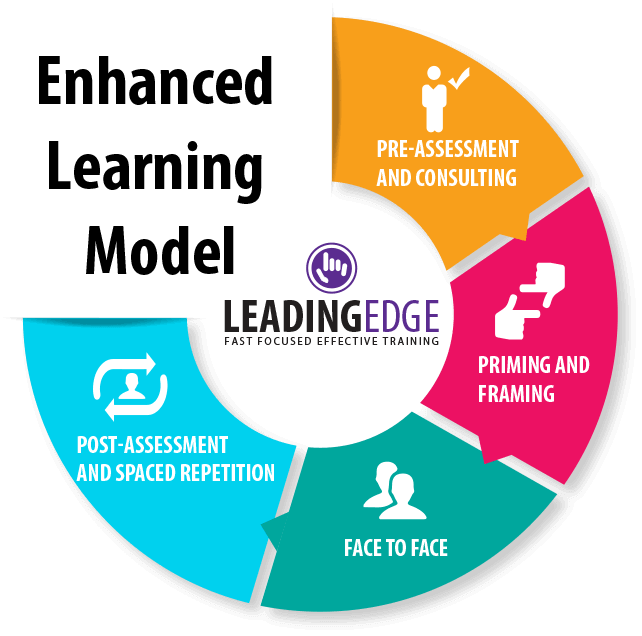 The model has four stages : Pre-Assessment and consulting, Priming and framing, face to face instruction, Post Assessment and spaced repetition.